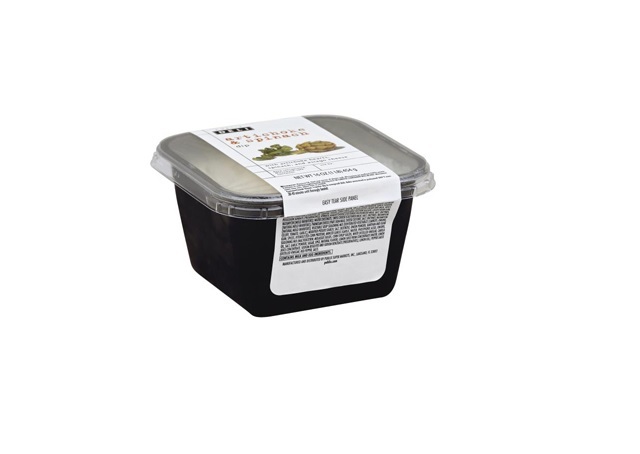 LAKELAND, Fla — Publix Super Markets is issuing a voluntary recall for Publix Deli Artichoke and Spinach Dip due to the possibility of the product containing small glass fragments. The 16 oz. artichoke and spinach dip was sold at Publix stores in Florida, Georgia, South Carolina, North Carolina , Alabama and Tennessee with a UPC of 000-41415-15961, and a use-by-date of May 16 A1 and May 16 C1,which is printed on the lid of the container. The product in question is found in the refrigerated cases in the deli. "As part of our commitment to food safety, potentially impacted product has been removed from all store shelves,” said Maria Brous, Publix media and community relations director. "We were made aware of potentially impacted product through customer complaints. Consumers who have purchased the product in question may return the product to their local store for a full refund." Publix customers with additional questions may call our Customer Care department at 1-800-242-1227 or visit our website at www.publix.com.